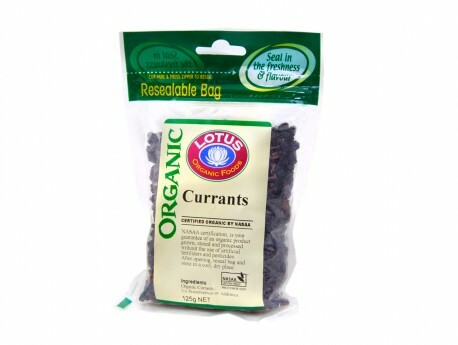 Dried black currants are a powerhouse of nutrition. They are low-fat, cholesterol-free and high-protein, with each cup of dried currants containing 5.88 grams of protein. Dried currants are also an excellent source of nutrients that are essential for health, including dietary fiber, copper, manganese and potassium. Prepared from the small, berry-like fruit native to Europe, dried black currents are often used as a substitute for raisins, dates or prunes in baked goods. They have a tart flavor that pairs well with cream and with sweeter fruits like raspberries and cherries. A 1-cup serving of dried black currants contains 9.8 grams of dietary fiber. This amount supplies approximately 39 percent of the Food and Nutrition Board's recommended daily allowance of fiber for healthy adult men and women following a 2,000-calorie diet. Similar to other dried fruits like raisins or figs, dried black currants are a source of both soluble and insoluble fiber. A high intake of soluble fiber may lower your risk of diabetes and high blood cholesterol, while plenty of insoluble fiber helps regulate bowel movements and may prevent digestive disorders. Fiber-rich foods like dried currants may also decrease your risk of obesity, heart disease, stroke and hypertension.